Peace. The expert Bart Brandsma visits the city to give a lecture on polarisation. We take a further look at this concept. Polarisation is closely linked to more common concepts such as mediation, conflict and the construction of peace. 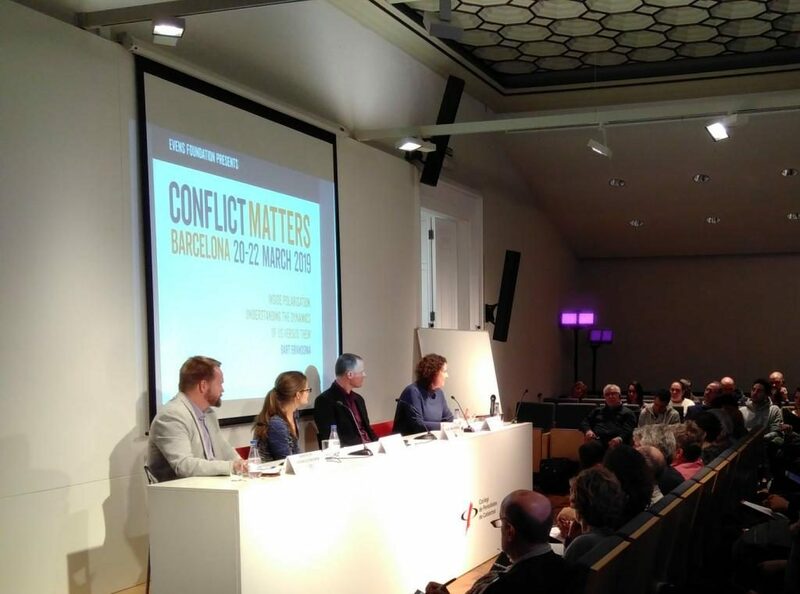 Yet the ‘Conflict Matters’ conference, organised by the School for a Culture of Peace, the International Catalan Institute for Peace and the international entity Evens Foundation, and with Bart Brandsma as the main guest, made it clear that ‘polarisation’ is a term which can be used to analyse and work on different situations which lead to serious conflicts from various perspectives. This can be achieved by broadening the group in the middle, which doesn’t identify with the idea of ‘us versus them’. Polarisation is linked to the formation of two groups in one sphere (social, political etc.) which enter into a spiral of blame and accusations which can lead to serious conflicts. This generally has its origins in a previous unresolved or unsatisfactorily resolved conflicts. According to Bart Brandsma, the three basic laws of polarisation are: the existence of a thought process which says “we’re like this and they’re not”, fuelled by tensioning elements and featuring emotional or visceral dynamics. Bart Brandsma describes himself as a practical-minded philosopher, devoted to the study of the perception of one as a group and of the otherness of that group to find the tools to influence and break that binomial. Brandsma doesn’t use the term break though, preferring instead to talk about finding groups of people who make up an imaginary middle, who are neither completely party to one idea, one leader or one side, nor the other. As an example, in politics that might mean those who are not from the far-right but who understand some of their positions, or the other way around, those who believe in people’s rights but perceive the left as utopian. Brandsma proposes depolarisation through these groups of indecisive people, who are not overly involved in the conflict or the issue. These silent groups, unseen, who don’t initially identify with either group. This is where the approach differs: rather than seeking to bring the two extremes together, work focuses on finding people from the middle who can carry out a multiplying task to depolarise the two poles. Brandsma explains that doing this involves looking at why the middle group have little or no interest in the issue. Why do neither of the opposing poles respond to their needs or interests? It’s a question of seeking what might motivate them, what would be needed to mobilise them. Brandsma often refers to polarisation in the sphere of a refuge as an example: faced with the arrival of people all around Europe requesting international protection (in volumes which vary by country), part of the population is against taking refugees in and another part support the right to refuge, without taking into account the capacity of host countries. The stance of these two poles and their leaders may be a factor in serious future conflicts. To avoid this scenario, Brandsma and his team of trainers opt to depolarise the situation by working with people who are neither completely in favour nor completely against this. Notable cases in his career include collaboration with various municipalities in Finland and, in particular, with police corps in Holland. In the Dutch case there was a double need: to work with the us-them thinking of the population through policing itself, but also to have an impact on the dynamics of police officers, who by definition should be neutral. The police corps were asked, regardless of their principles or personal stance on the issue, to move from gut feelings to a middle ground, to be able to understand and serve citizens. The lecture by Bart Brandsma is one of the activities from the programme ‘Conflict Matters’, by the Evens Foundation, which aims to make a wide-ranging and in-depth exploration of the different potentials, demonstrations and dynamics of conflict. 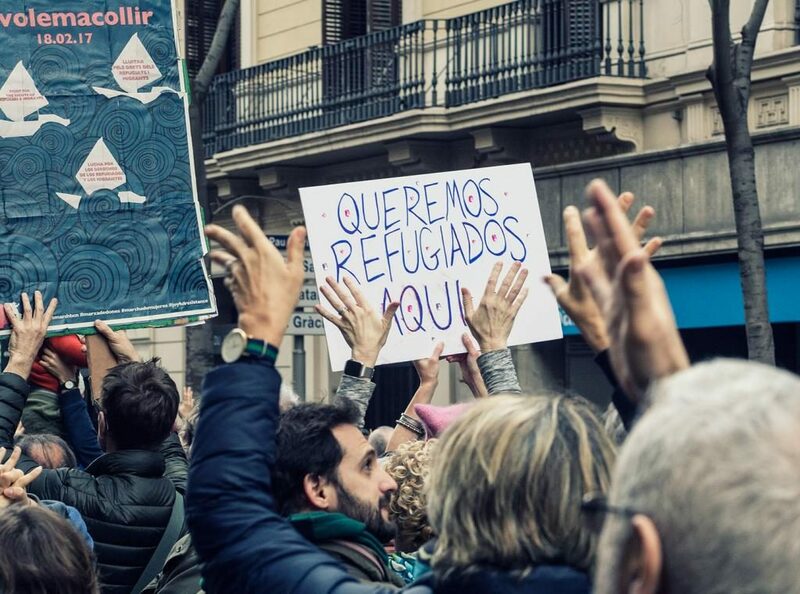 The other two organising bodies, the School for a Culture of Peace and the International Catalan Institute for Peace, have a long-standing and renowned history in issues relating to conflict and peace.